You are here: Home / Apple / iPhone 4 – The Basics – When, What, How Much? Preorders for the iPhone 4 begin on Tuesday, June 15th and they will go on sale Thursday, June 24th. 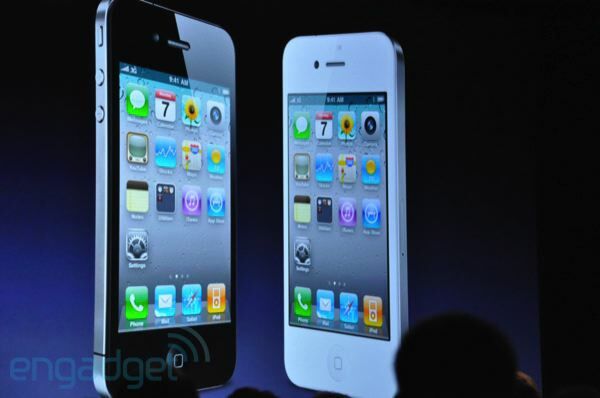 The iPhone 4 will be available in 2 sizes; 16GB and 32GB and will be available in two colors; Black and White. 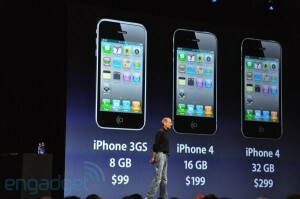 The 16GB iPhone 4 will cost $199 and the 32GB verson will run $299. They will also continue to sell the iPhone 3GS 8GB for $99. 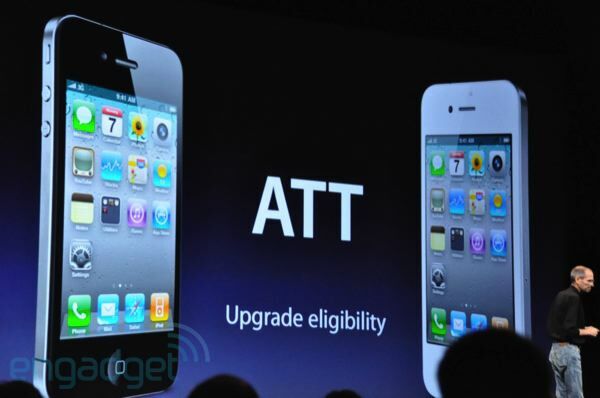 * Remember these prices are assuming you are eligible for an upgrade and require a 2 year contract with AT&T. 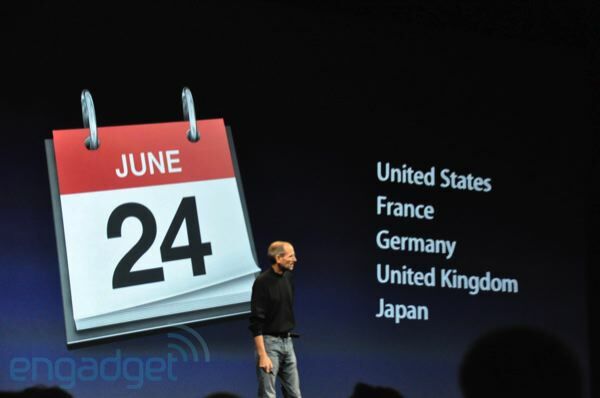 The iPhone 4 will be available in 5 countries on June 24th; US, France, Germany, UK and Japan. 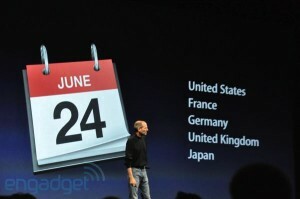 It will be available in 18 more countries in July. 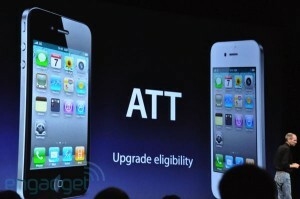 According to Jobs, it seems AT&T has decided to let people upgrade a little early. You can check whether or not you are eligible for an upgrade by calling *639# from your iPhone or by visiting AT&T’s website. Any idea on how to determine contract eligibility? My 3G phone is starting to develop some issues and I’ve been waiting for the 4G announcement. Hoping I can get the new one ordered soon! aby guess how much the unlock factory will cost?? ?